Action: Antidepressant, anti-inflammatory, antiphlogistic, antiseptic, antispasmodic, antiviral, aphrodisiac, astringent, bactericidal, choleretic, cicatrisant, depurative, emmenagogue, hemostatic, hepatic, laxative, nervine, stomachic, tonic for the heart, liver, stomach, uterus. Benefits, Indications: May help asthma, chronic bronchitis, herpes simplex, impotence, scarring, sexual debilities, skin diseases, wrinkles. Damask rose oil soothes and harmonizes the mind and helps with depression, anger, grief, fear, nervous tension and stress and at the same time addresses sexuality, self-nurturing, self esteem and dealing with emotional problems. It is most helpful for poor circulation and heart problems, which would include heart palpitations, arrhythmia as well as high blood pressure and is also used to boost the liver and gall bladder. For the respiratory system Damask rose oil assists in cases of asthma, coughs and hay fever, and in the digestive system for liver congestion and nausea. Precautions: Damask rose oil is nontoxic, non-irritant and non-sensitizing but should not be used during pregnancy. 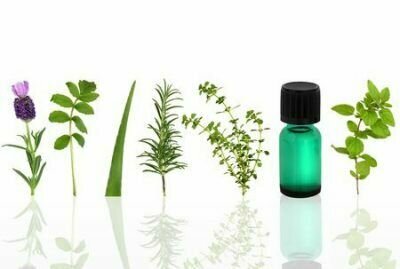 Evaluation of aromatherapy with essential oils of Rosa damascena for the management of premenstrual syndrome.